Want to avail an affordable and proven medical health checkup packages in Kozhikode right now? Indus Health Plus brings to you the best health checkup packages in Kozhikode including full body check, medical health check-up packages and family health checkup at a reasonable price. Our healthcare services are guaranteed to give you 100% satisfaction. We provide handholding service that ensures that you return home with a pleasant master health check-up experience. Benefits of Whole Body Health Check-Ups Offered by Indus Health Plus in Kozhikode? 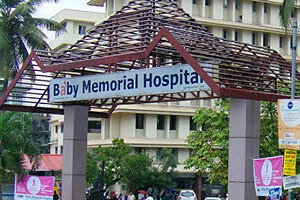 Indus Health Plus is partnered with reputed hospitals in Kozhikode. With us, you can book a reliable regular check up packages that can be availed across 78+ cities in India. Book your general health check-ups at the leading centre of your choice in Kozhikode with us and get upto 40% off on market price. A preventive health check up is your priority right now? Don't hesitate or wait to get the best affordable health check-up in Kozhikode from Indus Health Plus.